The purpose of this editorial is to highlight some properties of the hypoproteic nutrition in chronic renal disease (CKD), which can be defined as real therapy and are often misunderstood. These include: preventing the worsening and rapid progression of residual renal function (RRF), delaying replacement treatment, reducing the production of much more toxic nitrogenous compound molecules, such as protein-bound uremic toxins, and obtaining a phosphorus balance that could lead to a better control of uremic osteopathy and a lower incidence of cardiovascular events, thus improving survival rates in end-stage renal disease (ESRD) patients. In turn, we acknowledge a new approach called “incremental dialysis”, which, thanks to a lower protein intake, can be employed with many patients with limited RRF and a good dietetic compliance. In our opinion, this approach must be mandatory applied for reducing dialysis frequency, such as once-weekly haemodialysis (HD), via an intervention we define as a combined diet dialysis programme (CDDP). The term incremental HD (IH) is used and often confused with “infrequent dialysis” by many authors who use the same term interchangeably for once- and twice-weekly-dialysis without proteic diet control and too limited RRF. However, the milestone concepts are as follows: adopting a dietary hypoproteic approach is needed for medium-advanced stages of CKD by avoiding useless and harmful dialysis “overdose”. Finally, in CKD nowadays, it is necessary to administer amino acids, while we must seriously consider the treatment of uremic dysbiosis, which heavily affects microbiota. Today, the optimization of conservative treatment for CKD, especially in the pre-dialytic stage (CKD5) , is a mandatory procedure. The time to start dialytic treatment remains debatable, but it is generally when the glomerular filtration rate (GFR) is within a wide range (6-12 ml/min/1.73 m2). However, dialysis should be started if the uremic symptoms are no longer manageable, independently of the level of renal function , and when uremic signs and symptoms and comorbidities require the start of replacement therapy. The clinical features of untreated uraemia are anorexia, hyperazotaemia, hyperphosphataemia, metabolic acidosis, hydro-saline retention, malnutrition etc. . Furthermore, the prescription of an hypoproteic nutrition at the CKD5 stage can postpone the start of dialysis thanks to the better control of uremic signs and symptoms with no risk to the patient [4,5]. The hypoproteic diet must be supported with an adequate energy intake  and careful control of phosphorus intake to avoid very dangerous levels of hyperphosphataemia, along with a reduction of phosphorus intake to below 700-900 mg/ day, the recommended level for the general adult population . Once again, it is useful to educate patients to avoid consuming “hidden” phosphates in the form of additives found in preserved foods or soft drinks [8,9] by selecting foods with a lower phosphorus content and using foods of vegetable origin, which are known to limit net phosphorus intestinal absorption . Finally, food preparation procedures are also important ; in fact, it has been well documented that reboiling food results in demineralization, especially due to the more effective removal of potassium, which is very dangerous for normal cardiac functioning. Regulating sodium intake is always essential for both hypertensive and non-hypertensive patients; the restriction of sodium consumption to 5-6 g/day can improve the protective functions of the renin-angiotensin-aldosterone system (RAAS) and boost antiproteinuric action . Last but not least, it is essential to consume an adequate energy intake (30-35 Kcal/kg/day) to avoid the catabolism of protein used for energy production , as well as guarantee the needs of essential amino acids (EEAs) in the form of natural foods or pharmacological supplementation, which prevent metabolic acidosis, especially when derived from proteic hypercatabolism of muscle mass. Correction of metabolic acidosis is therefore an essential safety measure for defending against skeletal mineral disorders typical of CKD . Food factories are developing and improving food production methods in order to produce several kinds of pasta and obtain more palatable results, as well as adding substitute ingredients such as fibres, with good results . The new nutritional regimens are proposed for CKD5 patients and dialysis (CK5D) patients, involving a reduced protein intake (0.3-0.6 g of protein/kg of body weight) and integrated with the use of EAAs and ketoacids mixtures [16,7]. The very low protein diet (VLPD) is characterized by a contribution of less than 0.3 g of vegetable-based protein/kg of body weight [17,18]; it can be used to motivate patients with good compliance and a metabolic steady state . But, it is very difficult to obtain an ideal adherence to VLPD regimens and no nutritional nephrologist team has reported know-how methods for monitoring proteic intake using the still trustworthy urea nitrogen appearance (UNA) method , nor for calculating the protein catabolic rate (PCR) equivalent to the real protein dietary intake with counselling or for close nutritional monitoring by expert dieticians or skill nephrologists in order to identify anomalies and food errors and especially reduce the risk of malnutrition . It is too imprecise to perform measurements by looking at diet history, 24-h recall and food diaries and/or by establishing urea, sodium and phosphorus levels from 24-h urine collection . Thus, it should be amply sufficient to offer the standard low protein diet (LPD), which is based on a supply of 0.6 g of protein/kg of body weight. This proteic prescription could command much more compliance and adherence among CKD5 patients. Besides, there are three particular observations concerning CKD5D HD patients. First, on HD day, the patient could eat a protein-free diet and receive exhaustive information about food rich in potassium and phosphorus. On dialysis day, the protein intake could be >1.0-1.2 g/kg/day/1.73 m2 in order to compensate for the hypercatabolism triggered by the same HD, which is equivalent to a protein catabolic rate of 1.4 g/kg/day/1.73 m2 . Second, it is mandatory to prescribe a standard proteic diet for all patient in the CKD3b stage . The nutritional treatment has to be strictly tailored to each patient, meaning that it is not appropriate to prescribe the same standardized proteic diet for everyone. Third, HD patients experience a huge loss of amino acids by HD especially in case of thrice-weekly HD conventional rhythms . Unfortunately, there are no studies that have proceeded to examine, with precision, the loss of amino acids in the dialysis liquid that exits through the filter. In ESRD, a severe state of dysbiosis of the intestinal microbiota occurs with functional disorders to the intestinal thigh junction permeability. There is also a qualitative and quantitative imbalance in the microbial flora with a decrease in useful molecules, such as amino acids, and an increased production of uremic toxins, such as p-cresol and indoxyl sulphate [24,25]. Instead, these toxins could be again excreted by RRF, although they strongly bound to circulating blood albumin and cannot be removed by the most efficient HD and/or haemodiafiltration. Only their free part (10%) can be eliminated [26,27]. Thus, their great stack contributes to an acceleration in the worsening progression of RRF and damage to the cardiovascular system . Dysbiosis of microbiota improves by eating plants, pulses and fibres (30-40 g/day), with careful consideration of potassium levels . Therefore, illness associated with microbiota configures a severe malabsorption status with a great decrease in saccharolytic fermentation and short-chain fatty acids, a reduction in immunological defences and a high level of uremic inflammation with increased levels of many nitrogen compounds. According to a large number of publications, a hypoproteic diet prevents the worsening progression of renal function in all stages of CKD, but especially with regard to CKD5 and CK5D patient. In addition, the reduction in protein intake is able to reduce glomerular and tubular damage due to lowering proteinuria . In the selected group of patients with a good metabolic steady state and an RRF of about 5-10 mL/min/1.73 m2, it is possible to start a tailored haemodialytic programme by reducing HD rhythms and circumventing many unavoidable pathologies caused by all extracorporeal treatments. Such ethical procedures avoid a HD “overdose”, so there is a great advantage in starting an “incremental HD” programme. IH  embraces the full range of therapeutic options implemented with a schedule of less than thrice-weekly HD sessions, ideally integrated with a moderately LPD. However, incremental dialysis is a strictly implemented programme following the assessment of the uremic status in pre-dialysis patient settings through a synergic nephrological and nutritional approach aimed at achieving an excellent nutritional status and preserving diuresis with a GFR ranging between 5 and 10 mL/min/1.73 s.q. In the 1980s and 1990s, Giovannetti and Locatelli began the integrated dialysis dietary programme (IDDP) among patients with a GFR<3 ml/min/1.73 m2, consisting of a weekly HD session integrated with a VLPD equal to 0.3-0.4 g/kg/day, supplemented with EAAs and their ketoanalogues [31,32]. Previously, the perception was that IH was an important treatment choice for delaying the start of dialysis in cases of certainty [33,34]. Numerous other reports have demonstrated that duration and/or frequency of dialysis produce(s) pro-inflammatory and pro-oxidative cytokine stress, which leads to a reduction in RRF . In 1998, a very LPD and the inadequate adherence of selected patients prompted Locatelli et al. to suspend the IDDP due to malnutrition risk and signs of neurological peripheric disorders, as well as a drop-out rate of 66.6% . Informed by these clinical experiences and identifying the shortcomings of the IDDP, we set up a study group with a different approach, known as the combined diet dialysis programme . From 1998 onwards, about 160 patients have been treated. The CDDP modifies some aspects of the IDDP. First, the protein intake was raised from 0.3-0.4 to 0.6 g/kg/day with a free diet on dialysis day. Second, we recruited patients with a higher glomerular filtrate from <2.5 values to 5-10 ml/ min/1.73 m2. Third, an estimation of dietary compliance was carried out using the nitrogen appearance area formula , while RRF was checked on average across three weekly urine collections. Fourth, we used the mean clearance of urea and creatinine to estimate a value that was much nearer to real RRF. In a controlled, non-randomized study, significant advantages of the CDDP were shown when compared with patients who received HD three times a week, based on a significant reduction in β2-microglobulin and better phosphataemia control, as well as especially showing a better preservation of residual diuresis . At 24 months, the cumulative survival rate among the 38 patients on the CDDP and the 30 on the standard thrice-a-week HD schedule was identical. Subsequently, at 96 months of follow-up, the same remaining patients showed a higher cumulative survival rate in the CDDP (p<0.05), highlighting a significant saving in terms of indirect costs (hospitalizations) and a reduction in direct costs by 75% [39,40]. Thus, the CDDP in selected cooperative patients may be the best “bridge” option to starting an incremental HD programme. The hypoproteic nutrition approach, alongside RRF, leads to less intake, less production and greater output of numerous toxin compounds in CKD5 and CKD5D patients. Table 1 shows a list of the molecules that can be limited . Table 1: List of toxins per class. These protein-bound uremic toxins can cause endothelial damage, have a direct toxic effect on the renal tubule, activate the RAAS, increase insulin resistance, provoke the apoptosis of different renal cells prior to renal fibrosis, trigger oxidative stress and cause cardiac apoptosis . Furthermore, in the last few years, direct phosphorus toxicity has been underestimated. Direct hyperphosphataemia toxicity significantly correlates with cardiovascular mortality in ESRD and CKD5D patients but its direct action on the kidney cannot be overlooked. The leading causes of kidney damage have long been acknowledged as being largely correlated with the calcification of renal microcirculation and consequent tubular-interstitial lesions. The latter is also due to the presence of high levels of hydroxyapatite crystals in the intraluminal and tubular renal tissues, particularly the cortico-medullary junction. These severe lesions by phosphorus have been known since the 1980s . Incremental HD on a once- to twice-weekly basis, thanks to RRF, and the reduction in protein intake could lead to a balance of phosphorus . In conventional thrice-weekly HD session for oligoanuric patients, there is a progressive store of phosphate everywhere in the uremic body compartments, but especially in all the endothelial walls. 1. Our ideal proteic dose prescription is 0.6 g/kg/day; however, a primacy study is still outstanding concerning LPD (0.6 g/kg/die) versus VLPD (0.3-0.4 g/kg/day). Compliance’s patient could be better with an LPD. 2. It is strongly suggested to administer a mixture of amino acids, as their absorption, metabolism and usefulness for protein synthesis are strongly compromised in ESRD. Dialysis patients experience a significant loss of amino acids by dialysis. It is better use to use essential and branched amino acids. 3. The RRF is prolonged by a hypoproteic diet and the lesser phosphate absorption of high store amounts, while toxin molecules such as protein-bound uremic toxins are especially diminished due to minimal RRF. Besides, limited RRF could help to obtain a better hydro-electrolytic balance and the cardiac overload is lighter, while kidney function is less affected. 4. Both in CKD5 patients and dialysis patients, in order to reduce the risk from frequent weekly treatment, it is mandatory to prescribe a tailored hypoproteic diet. This is the “milestone” of every kind of treatment, particularly if it involves a reduction in salt intake by food. 5. Where possible in selected collaborative patients, it is appropriate and ethical to start substitutive treatments in HD or in peritoneal dialysis cases with an incremental scheme. 6. During an incremental dialytic programme, it is advised to periodically check the UNA in order to evaluate patient adherence and the RRF; this has to be evaluated by averaging urea and creatinine clearances via a 24-h urine collection. 7. The time to start the treatment of intestinal dysbiosis, which is deeply altered by the uremic milieu, has now emerged. Relevant studies are only beginning to take place. However, the importance of adding a good quantity of fibres to improve diet and/or treatment with prebiotics and/or probiotics has been recognized. More extensive studies are needed in order establish further prevention measures for RRF and reduce the inflammatory uremic status. Inker LA, Astor BC, Fox CH, Isakova T, Lash JP, et al. (2014) KDOQI US commentary on the 2012 KDIGO clinical practice guideline for the evaluation and management of CKD. Am J Kidney Dis 63: 713-735. Davison SN, Levin A, Moss AH, Jha V, Brown EA, et al. (2015) Executive summary of the KDIGO controversies conference on supportive care in chronic kidney disease: developing a roadmap to improving quality care. Kidney Int 88: 447-459. Bellizzi V, Cupisti A, Locatelli F, Bolasco P, Brunori G, et al. (2016) Low-protein diets for chronic kidney disease patients: the Italian experience. “Conservative Treatment of CKD” study group of the Italian Society of Nephrology. BMC Nephrol 77. Bellizzi V, Carrero JJ, Chauveau P, Cozzolino M, Cupisti A, et al. (2016) Retarding chronic kidney disease (CKD) progression: a practical nutritional approach for non-dialysis CKD. Nephrology @ Point of Care 2: e56-e67. Hanafusa N, Lodebo BY, Kopple JD (2017) Current uses of dietary therapy for patients with far-advanced CKD. Clin J Am Soc Nephrol 12: 1190-1195. Walser M, Hill S (1999) Can renal replacement be deferred by a supplemented very low protein diet? J Am Soc Nephrol) 10: 110-116. Cupisti A, Brunori G, Di Iorio BR, D'Alessandro C, Pasticci F, et al. (2018) Nutritional treatment of advanced CKD: twenty consensus statements. J Nephrol 31: 457-473. Chang AR, Miller ER, Anderson CA, Juraschek SP, Moser M, et al. (2017) Phosphorus additives and albuminuria in early stages of CKD: a randomized controlled trial. Am J Kidney Dis 69: 2000-2209. Sullivan C, Sayre SS, Leon JB, Machekano R, Love TE, et al. (2009) Effect of food additives on hyperphosphatemia among patients with end-stage renal disease: a randomized controlled trial. JAMA 301: 629-635. D'Alessandro C, Piccoli GB, Cupisti A (2015) The "phosphorus pyramid": a visual tool for dietary phosphate management in dialysis and CKD patients. BMC Nephrol 16: 9. D’Alessandro C, Piccoli GB, Calella P, Brunori G, Pasticci F, et al. 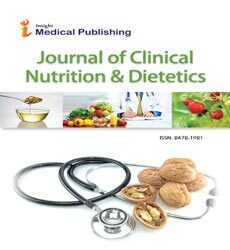 (2016) “Dietaly”: practical issues for the nutritional management of CKD patients in Italy. BMC Nephrol 17: 102. Bellizzi V, Bianchi S, Bolasco P, Brunori G, Cupisti A, et al. (2016) A Delphi consensus panel on nutritional therapy in chronic kidney disease. J Nephrol 29: 593-602. Kopple JD, Monteon FJ, Shaib JK (1986) Effect of energy intake on nitrogen metabolism in non-dialyzed patients with chronic renal failure. Kidney Int 29: 734-742. Bailey JL, Mitch WE (1996) Metabolic acidosis as a uremic toxin. Semin Nephrol 16: 160-166. Sabanis D, Lebesi D, Tzia C (2009) Development of fibre- enriched gluten-free bread: a response surface methodology study. Int J Food Sci Nutr 60: 174-190. Bellizzi V, Cupisti A, Locatelli F, Bolasco P, Brunori G, et al. (2016) Low-protein diets for chronic kidney disease patients: the Italian experience. BMC Nephrol 17: 77. Garneata L, Stancu A, Dragomir D, Stefan G, Mircescu G (2016) Ketoanalogue- supplemented vegetarian very low-protein diet and CKD progression. J Am Soc Nephrol 27: 2164-2176. Aparicio M, Bellizzi V, Chauveau P, Cupisti A, Ecder T, et al. (2013) Do ketoanalogues still have a role in delaying dialysis initiation in CKD predialysis patients? Semin Dial 26: 714-719. Fouque D, Chen J, Chen W, Garneata L, Hwang SJ, et al. (2016) Adherence to ketoacids/essential amino acids-supplemented low protein diets and new indications for patients with chronic kidney disease. BMC Nephrol 17: 63. Maroni BJ, Steinman TI, Mitch WE (1985) A method for estimating nitrogen intake of patients with chronic renal failure. Kidney Int 27: 58-65. Bellizzi V, Bedogni G, Quintaliani G (2008) Compliance with low protein diet in patients with chronic kidney disease. G Ital Nefrol 25: S45-49. Pupim LB, Flakoll PJ, Ikizler TA (2004) Protein homeostasis in chronic hemodialysis patients. Curr Opin Clin Nutr Metab Care 7: 89-95. Ikizler TA, Flakoll PJ, Parker RA, Hakim RM (1994) Amino acid and albumin losses during hemodialysis. Kidney Int 46: 830-837. Montemurno E, Cosola C, Dalfino G, De Angelis M, Gobbetti M, et al. (2014) What would you like to eat, Mr CKD microbiota? A mediterranean diet. Kidney Blood Press Res 39: 114-123. Eloot S, Ledebo I, Ward RA (2014) Extracorporeal removal of uremic toxins: can we still do better? Semin Nephrol 34: 209-227. Vanholder R, Smet RD, Glorieux G, Dhondt A (2003) Survival of hemodialysis patients and uremic toxin removal. Artif Organs 27: 218-223. Cupisti A, D’Alessandro C, Gesualdo L, Cosola C, Gallieni M, et al. (2017) Non-traditional aspects of renal diets: focus on fiber, alkali and vitamin K1 intake. Nutrients 9: e444. Kaysen GA, Gambertoglio J, Jimenez I, Jones H, Hutchison FN (1986) Effect of dietary protein intake on albumin homeostasis in nephrotic patients. Kidney Int 29: 572-577. Obi Y, Kamyar Kalantar-Zadeh K (2017) Incremental and Once- to Twice-Weekly Hemodialysis: From Experience to Evidence. 2: 781-784. Locatelli F, Andrulli S, Pontoriero G, Di Filippo S, Bigi MC (1994) Supplemented low-protein diet and once-weekly hemodialysis. Am J Kidney Dis 24: 192-204. Morelli E, Baldi R, Barsotti G, Ciardella F, Cupisti A (1987) Combined therapy for selected chronic uremic patients: infrequent hemodialysis and nutritional management. Nephron 47: 161-166. Levey AS, Adler S, Caggiula AW (1996) Effects of dietary protein restriction on the progression of advanced renal disease in the modification of diet in renal disease study. Am J Kidney Dis 27: 652-663. Fouque D, Laville M, Boissel JP (2006) Low protein diets for chronic kidney disease in non-diabetic adults. Cochrane Database Syst Rev. Daugirdas JT, Greene T, Rocco MV (2013) Effect of frequent hemodialysis on residual kidney function. Kidney Int 83: 949-958. Locatelli F, Andrulli S, Pontoriero G, Kaysen GA, Depner TA, et al. (1998) Integrated diet and dialysis programme. Nephrol Dial Transplant 13: 132-138. Caria S, Cupisti A, Bolasco P (2014) The incremental treatment of ESRD: a low-protein diet combined with weekly hemodialysis may be beneficial for selected patients. BMC Nephrol 15: 172. Bolasco P, Cupisti A, Locatelli F, Caria S, Kalantar-Zadeh K (2016) Dietary management of incremental transition to dialysis therapy: once-weekly hemodialysis combined with low-protein diet. J Ren Nutr 26: 352-359. Bolasco P (2017) Nutritional hypoproteic approach and phosphate control allows the incremental hemodialysis. J Food Nutr Disord 6:3. Bolasco P, Galfrà A, Caria S, Scotto P, Murtas S (2017) Phosphate nutritional intake control between patient undergoing conventional thrice weekly and infrequent hemodialysis. Int J Clin Nutr 5: 18-23. Vanholder R, Pletinck A, Schepers E, Glorieux G (2018) Biochemical and clinical impact of organic uremic retention solutes: a comprehensive update. Toxins (Basel) 10. Gryp T, Vanholder R, Vaneechoutte M, Glorieux G (2017) P-Cresyl sulfate. Toxins (Basel) 9. Yanagawa N, Nissenson RA, Edwards B, Yeung P, Trizna W (1983) Functional profile of the isolated uremic nephron: intrinsic adaptation of phosphate transport in the rabbit proximal tubule. Kidney Int 23: 674-683. Bolasco P, Murtas S (2017) Clinical benefits of phosphate control in progression of end stage renal disease. Panminerva Med 59: 133-138.